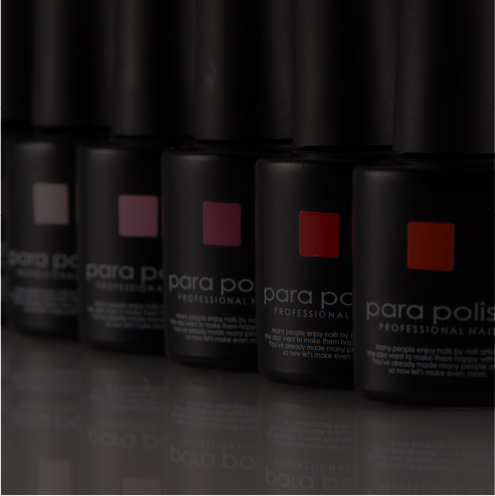 Para gel is a gel nail that is kind to your nails as buffing is not required. Allow us to introduce paragel, LED gel nails that do not require buffing and do not damage your nails. Our luxurious lineup of gel nails do not damage your nails and do not require any buffing We also have LED lights and many other items. We have put together a list of frequently asked questions concerning the LED light, the proper use of each Paragel line, techniques and more. Paragel supports women everywhere through the skill and technique of our professional nail technicians. To us, professional nails are skillfully crafted, long-lasting gel nails, that are also kind to the original nail. Unlike other gel nails, Paragel does not remove the surface of the original nail (no buffing necessary). For proper application, however, it is important to first acquire the proper knowledge and technique. From nail design suggestions that match a woman’s ideal image, to our nail menu to make her look impeccable, our products are developed from a professional nail technician's perspective to meet your customers’ wide range of needs. The official site of Putiel - gel nails in pursuit of maximum functionality and color with a huge variety of fashionable colors available. Para Spa is made with Organic essential oils that are quickly absorbed into the skin. 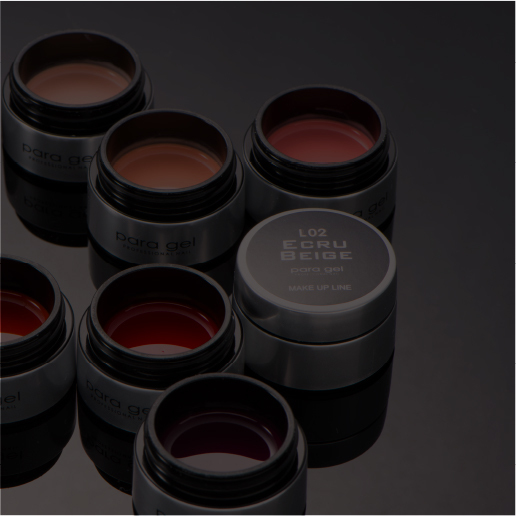 The Ultimate One Color application gel polish. The official site of Paragel Academy. Copyright / para gel All Rights Reserved.